USGS OFR03-001: PHOTO GALLERY - Ships. Photo showing a starboard-side view of the RV GOSNOLD steaming toward sea from Woods Hole Harbor. 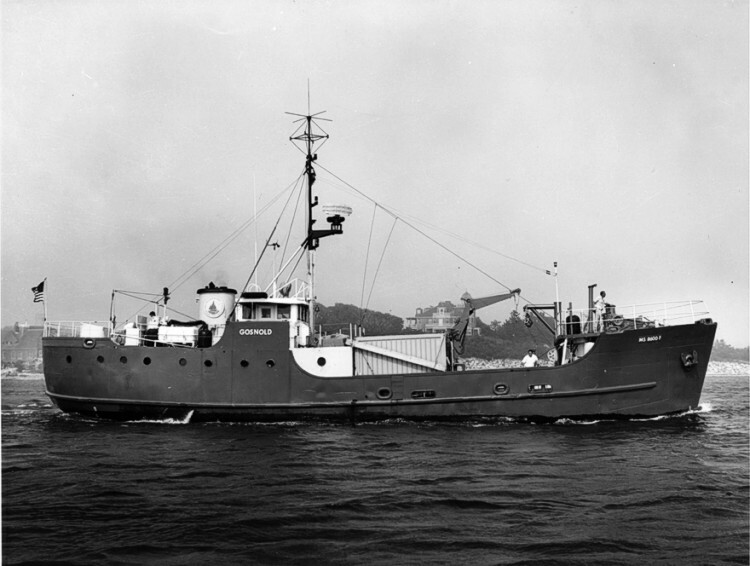 This vessel was operated by WHOI and used during the Continental Margin Program, a joint program between the USGS and WHOI to conduct a geological reconnaissance investigation of the continental shelf and slope off the Atlantic coast of the United States.